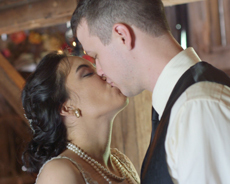 The Barn at the Springs was the setting as Sunflower Films captured Yasmin and Cody’s wedding day that took place on June 11, 2016. It was a fun day filled with love, laughter, and friends and family. The wedding day began with everyone getting prepped for the big day. Yasmin was surrounded by her mom, mother-in-law, sister, and all of her bridesmaids while getting her hair and makeup done. The bridal room was decorated with vintage hats and photos. A beautiful chandelier with heart-shaped drops hung overhead. Yasmin’s mom helped her into her gorgeous floral beaded gown that looked stunning on her. Yasmin shed tears of joy when she opened the sentimental gift that Cody made for her that included the love letter he wrote when he first asked her to be his girlfriend. The groom also got ready with his groomsmen and looked handsome for the big day. After getting ready, the couple and the bridal party went outside for some pre-ceremony photos. The photographer for the day was Delyn Stirewalt of Miles Witt Boyer Photo Collective. See their photos here! Yasmin and Cody had a special reveal with each other before the ceremony where Cody kept his eyes closed the entire time so he wouldn’t see his bride before the ceremony. They exchanged letters they wrote to each other and read them while keeping there backs turned away from each other and holding hands. It was so heart-warming. Yasmin also had a very sweet father-daughter reveal with her dad before the ceremony. We always love seeing that! 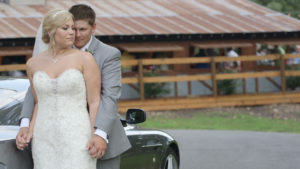 The ceremony was held on front lawn of The Barn at the Springs. Purple and green hydrangeas and ivory roses decorated the aisles. Yasmin was escorted by her father down the aisle as Cody looked on adoringly at his future wife. 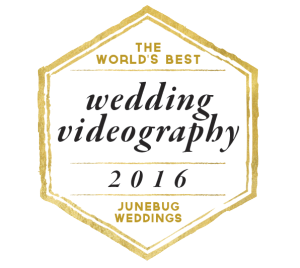 We always love capturing the groom’s reaction to first seeing his bride. 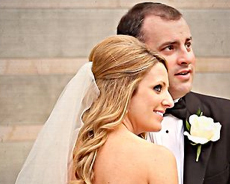 Special readings were given by relatives and vows exchanged as Yasmin and Cody were declared husband and wife. Next, came the celebration at the reception held inside the The Barn at the Springs. The guests enjoyed a delicious dinner and a chocolate fountain equipped with anything you can think of for dipping in chocolate—even bacon! 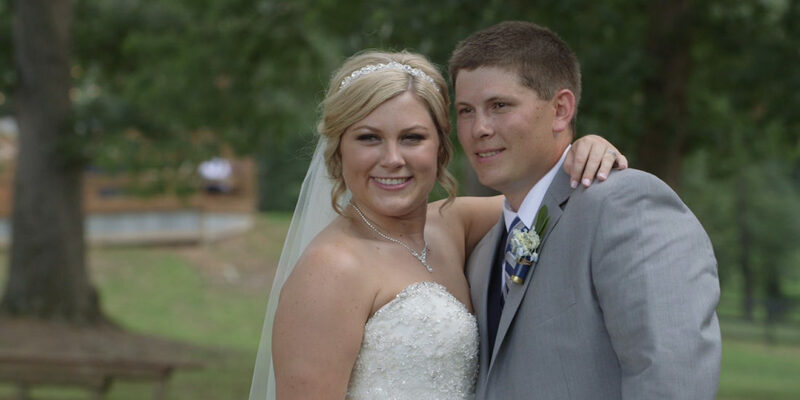 The bride’s father, sister and Cody’s brother gave heart-felt speeches that expressed their love for the couple. As the night went on, temperatures cooled off but the dance floor heated up as the guests made there way to the outdoor dance floor. The DJ Derrick kept the music going all night. Yasmin and Cody shared their first dance together which was stunning. 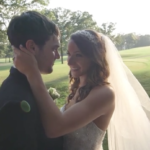 They showed off their skills in a choreographed dance for their first dance. It was easy to see Yasmin’s love for dance! The great dancing didn’t end there. Yasmin and her dad and Cody and his mom both shared dances that started out slow and then turned into upbeat dancing equipped with funky sunglasses. Yasmin went back to her British roots when she and her friends and family did a fun dance where they were all seated in a line and moved their arms along with the song. So much fun to see! The day ended with a sparkler exit that lit up the night as the couple kissed in celebration. 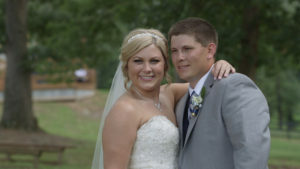 We at Sunflower Films enjoyed meeting Yasmin and Cody and filming their special day. We wish them years of happiness!